It's no secret that most of us have a BIG sweet tooth. keto sweeteners can come in handy. as there's lots of contradicting information related to low-carb sweeteners and their impact on your body. Sweeteners can be an incredible tool to reach your goals or a toxic fast lane that will lead to binge eating and bad choices. 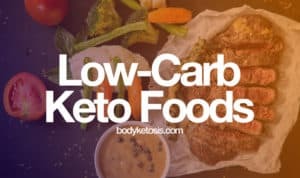 which ones to avoid completely during keto. What makes sweeteners keto friendly? When talking about sweeteners, what most people are referring to are actually sugar substitutes. Sugar substitutes are food additives that provide the sweetness of sugar but without those extra calories. Sweeteners are a broad category of both natural and artificial compounds, some of which are better for health than others. Still, most people consider all sweeteners as healthy alternatives to sugar. The best answer I can give you is that we don't know. Most sweeteners you find on the market are labeled as "generally recognized as safe." What that means is that most research found these sweeteners are not toxins, don't cause cancer, and are not major allergens. Since sweeteners are classified as food additives, they should undergo vigorous testing to prove their safety. Unfortunately, this is not always the reality of how things are. The reality is that additive safety testing is poorly regulated across countries. This is especially true for the US, where manufacturers are allowed to sell products without prior approval from government health agencies. allowing manufacturers to exploit these loopholes. ​​My point is that just because a sweetener is generally recognized as safe, it doesn't mean it is. Even researchers are unsure whether sweeteners are safe or not and frequently call for more research to help bring about a final conclusion. But most importantly, sugar and other caloric sweeteners are not allowed on keto. That's why keto dieters and other health conscious folk look for alternatives to add guilt-free sweetness to their coffee, tea, smoothies, and desserts, and sweeteners offer just that. Sweeteners called "nonnutritive" do not raise blood glucose because they don't contain carbohydrates. Other sweeteners, such as sugar alcohols, however, contain some carbohydrates and can have a smaller effect on blood sugar. The only way to measure it is using a blood glucose meter. Your body either doesn't metabolize or partially metabolizes most sweeteners. Their resistance to digestion is the main reason so many sweeteners don't provide calories. Many sweeteners are also hundreds of times sweeter than table sugar, which allows us to use them in a much smaller dose that is unlikely to provide significant calories even if the sweetener contains carbs. On the downside, more and more studies are finding that nonnutritive sweeteners disrupt the healthy balance of gut bacteria. This seems to be especially the case with artificial sweeteners. Sugar alcohols are also known to be mild laxatives, causing diarrhea and bloating. The sweetness of sweeteners is much more intense than that of sugar. If you get used to this constant explosion of sweetness, naturally sweet-tasting food like fruit will start to taste bland. Scientists are baffled by increasing evidence showing that regular use of sweeteners causes weight gain and metabolic syndrome. One theory is that the sensation of sweetness stimulates insulin release followed by a sharp drop in blood glucose. However more research is needed to confirm if this theory holds water. When you take all these facts into account, sweeteners seem to be neither good or bad. Instead, they are both good and bad. The difference may very well lie in the dose. So, if you're considering using sweeteners to replace sugar in your diet, make sure to keep your intake minimal. Anyone following or interested in the ketogenic diet knows they should replace table sugar with keto sweeteners or avoid everything sweet completely. But what exactly are keto-approved sweeteners? Generally speaking, keto sweeteners are those sugar substitutes that don't raise blood glucose. Many keto proponents also believe that natural sweeteners and those 100 percent proven to be safe are the only acceptable keto sweeteners. So, what makes these sweeteners keto friendly? The first thing is that they are a low-carb ingredient. Sugar is 90-100 percent carbohydrate. Because they don't contain carbohydrates, sweeteners do not affect blood glucose the way sugar does. 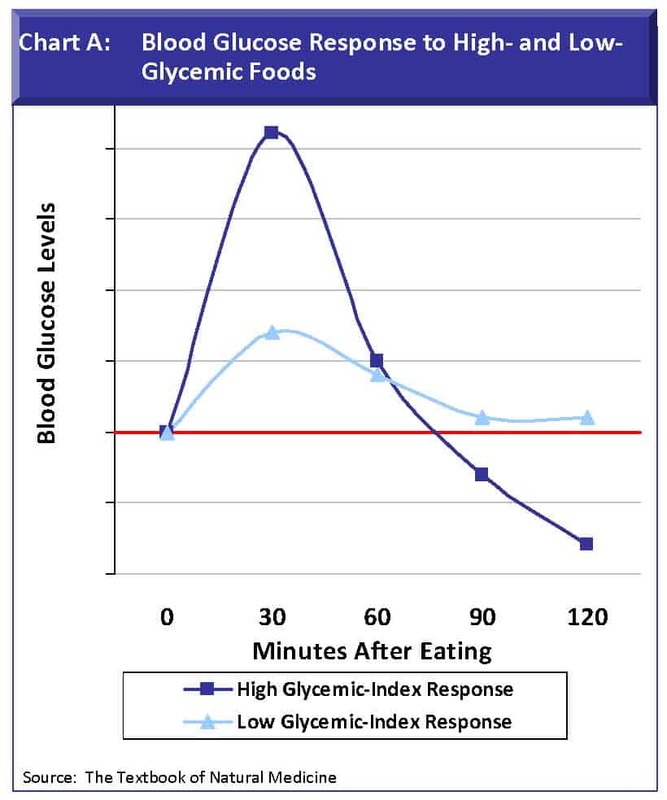 The way we determine a food's impact on blood glucose is with the help of the glycemic index (GI). The GI ranks food based on how quickly it raises blood glucose. Sweeteners rank 0 to 36, while sugar ranks 65-80 on the GI scale. while those ranking high on the GI scale (70 and above) cause blood glucose spikes. 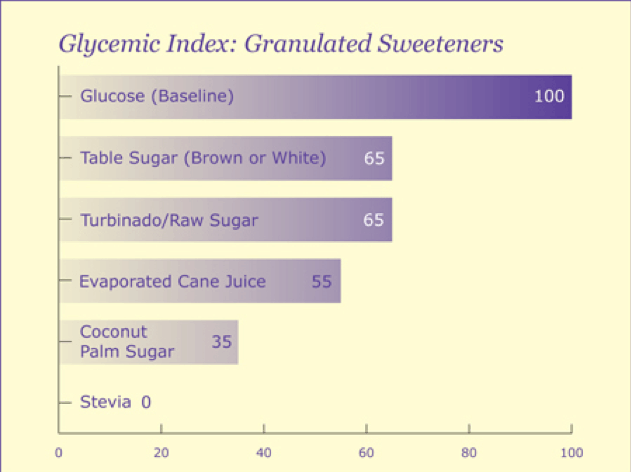 Glycemic index (GI) is a relative ranking of carbohydrate in foods according to how they affect blood glucose levels. 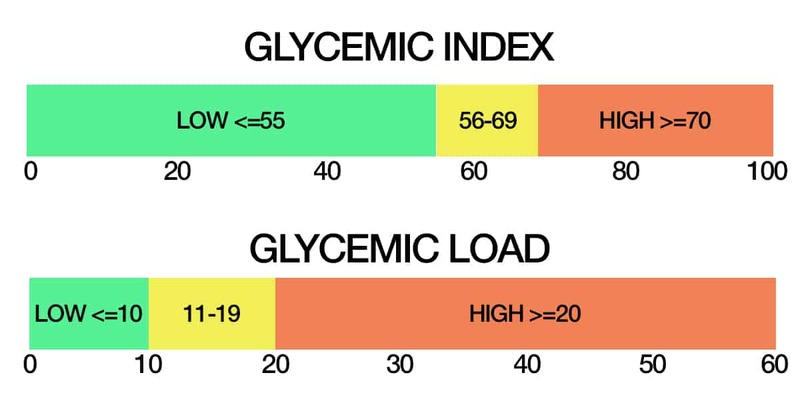 Glycemic load (GL) is an index that simultaneously describes the blood glucose-raising potential of the carbohydrate in a food and the quantity of carbohydrate in a food. a hormone that helps cells absorb glucose from the bloodstream. However, some studies say things are not that simple. In 2007, researchers at Mount Sinai School of Medicine discovered that we have taste receptors in our guts. This gave rise to a theory that when these receptors are stimulated, the pancreas releases insulin despite no change in blood glucose. The result of this mismatch between insulin and glucose levels is believed to cause low blood sugar and hunger pangs. However, no studies to date prove this to be the case. As is usually the case with sweeteners, their exact impact on blood glucose (and overall health) remains somewhat of a mystery. what do you conclude based on all of this? but sweeteners might if you take them only occasionally. If you're still want to make sweeteners a part of your keto journey, then you'll want to know more about different types. Some sweeteners are better than others as far as current research is concerned. With that said, here is how we categorize sweeteners. Sweeteners are broadly classified into natural and artificial (synthetic). However, all sweeteners undergo some form of processing, so these definitions are a bit murky. and those extracted from natural source using minimal steps during processing are natural. We will give you the facts and information on every sweetener, and then based on that you can decide for yourself which sweetener agrees with you the most. If we classify sweeteners by their means of production and origin, they can fall either into the natural or the artificial category. Natural sweeteners are the ones that exist or are produced by nature, without the process of adding chemicals. Sweeteners like these are considered to be natural: honey, maple syrup, monk fruit, coconut sugar, stevia, xylitol, etc. Artificial sweeteners, on the other hand, are sweeteners that are mainly produced in a laboratory setting. Some of the popular artificial sweeteners are sucralose, aspartame, saccharin, and acesulfame k.
And even though most people tend to think that the sweeteners in the natural category must be healthier and a better option than the ones made in a lab, it’s not that simple. If you have been following the ketogenic or some other low-carb diet, you probably know that you should avoid consuming foods, drinks, and anything else that can spike your blood glucose and insulin levels. And funnily enough, most of the sweeteners that fall in the natural category are the ones that contain the most amount of carbs and are the worst regarding raising your blood glucose. Honey, maple syrup, coconut sugar, and molasses are such examples, and they are one of the worst things you can use as a sweetener on a low-carb diet. Natural sweeteners like stevia and monk fruit, on the other hand, are ones that have been shown to not have any effect on blood glucose and insulin levels whatsoever and they are also calorie-free. From the artificial sweeteners, a good example and a very popular option among low-carb dieters is sucralose, while sweeteners like acesulfame k and saccharin have been shown to spike blood glucose and insulin levels. The most common artificial sweetener in use today is aspartame. It is sold under the brand name NutraSweet and can be found in Monster Zero and Coca Cola Zero. Sweeteners are further classified into those that provide calories (nutritive) and those that don't (nonnutritive). All calories from nutritive sweeteners come in the form of carbohydrates. Most sugar alcohols are nutritive sweeteners. However, calories vary greatly from one sugar alcohol to the next, with some like erythritol having zero calories per gram and others like maltitol providing 2.5 calories per gram. Nonnutritive sweeteners are artificial sweeteners. They're also called high-intensity sweeteners because they are many times sweeter than sugar. However, stevia, which is a natural sweetener is also a nonnutritive sweetener as is monk fruit and erythritol, which is a sugar alcohol. Unlike nutritive sweeteners, nonnutritive sweeteners don't get their sweet taste from carbohydrates. Instead, they get it from a range of molecules that interact with the sweet receptors on our tongues. These molecules include sugar alcohols, terpenoids, some proteins, flavonoids, and others. Unfortunately, many sweeteners also contain compounds that interact with bitter receptors on our tongues. To offset a sweeteners bitter aftertaste, many manufacturers combine different types of sweeteners to get a product that most resembles sugar. ​So, there you have it. Natural sweeteners like stevia are your best bet. But even then, keep your intake minimal until studies unravel more about their impact on health. Natural products are generally safer than man-made ones. That's a nice general rule to follow, but with many exceptions. Another great thing about natural sweeteners is that they have been a part of the human diet for much longer than artificial sweeteners. Below are natural sweeteners most popular on a keto diet. 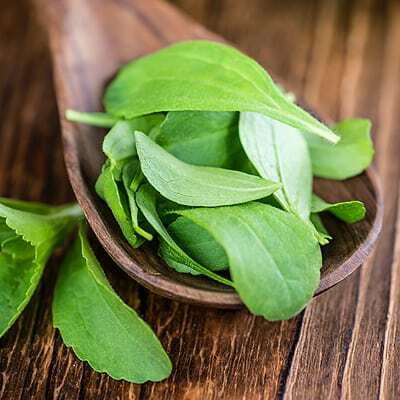 Is Stevia keto friendly? Yes, Stevia is keto approved and also safe as far as research is concerned. Most keto proponents also advocate only for natural products, so stevia fits the bill as a keto sweetener. Is Stevia suitable for cooking? Yes, it is stable at temperatures of up to 392° F. It's ideal for recipes that don't rely on sugar as a bulking ingredient. 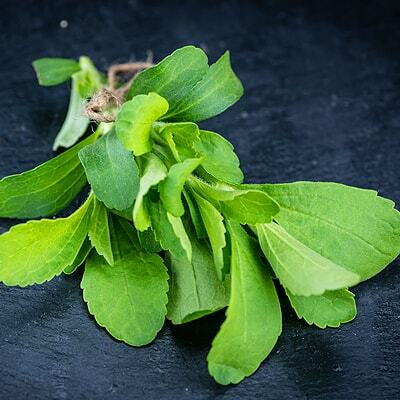 Stevia is made from the Stevia rebaudiana plant native to South America. The process of manufacturing stevia is similar to how table sugar and vanilla extract are made. This process begins with harvesting stevia leaves, steeping them in hot water, and purifying the glycosides with water (and alcohol). The end product is a plant-based sweetener up to 300 times sweeter than sugar but with no calories. On the flip side, the process of extracting stevia also renders it expensive. These sweeteners are sold under brands names such as PureVia, Truvia, and SweetLeaf. First, because the liquids don’t need other fillers like maltodextrin, but can be made with just stevia leaf and water. The second reason is that when using whole leaf or powder, you don’t get an even distribution of sweetness throughout your recipe so you’ll end up with ‘pockets’ or areas of super sweetness and others with none. And third, you can easily create your own if you only have stevia in a powdered form. Mix 1 tsp. of powder with 3 tsp. water in a dropper bottle and store in the refrigerator. Stevia is sold in powder and liquid form, and often in green packets. Many low-calorie products are now including stevia as their main sweetener. The "less is more" rule applies to stevia not only because it's much sweeter than sugar but also because too much leaves a bitter aftertaste. As a general guideline, 6tsp of pure stevia replace ¼ of a cup of sugar. They've concluded that having 12 mg of high-purity stevia extracts per kg of body weight a day is safe. To put this into perspective, a 150-lb person would need to consume 40 packets of a tabletop stevia sweetener to reach this limit. If more than 1 tablespoon is needed, it is better to use an extract or concentrated form rather than the full leaf to prevent a “grassy” taste. Commercial powdered stevia often contains filler such as maltodextrin, so always check the ingredients! A big mistake many people make when they start with stevia is assuming it’s a 1:1 match for sugar. If you start using stevia, do it a tiny bit at a time to get the level of sweetness you want. If you added too much stevia to a recipe or the taste is too strong don’t throw it out just yet. Try to freeze it for a day. The cold temperature makes wonders with the aftertaste. Is Monk Fruit keto friendly? 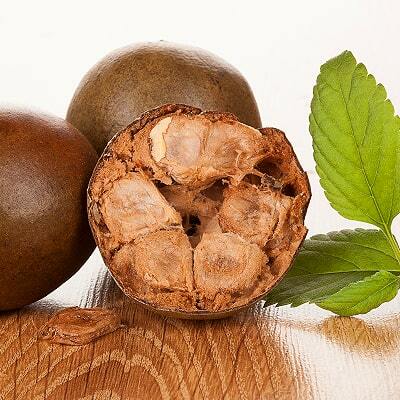 Yes, Monk Fruit is a low-carb, zero-calorie sweetener that also comes with added health benefits. It's considered natural despite the lengthy process of extracting it by using solvents. Is Monk Fruit suitable for cooking? Yes, it’s a stable substance and can be used in cooking or baking. You can substitute it for sugar, cup for cup. Monk fruit is a highly unusual fruit of the gourd family. It got its name from the monks who first cultivated the plant in 13th century China and nicknamed it "the immortal's fruit" after noticing that those who consumed it lived to be a 100, or at least that's how the legend goes. Along with its magical sweetening powers, monk fruit has long been regarded as the “longevity fruit” thanks to its high antioxidant levels. Health benefits aside, most people appreciate monk fruit for its sweet taste. Like most fruit, monk fruit also contains fructose and glucose. But unlike other fruit, monk fruit also gets its sweetness from antioxidant compounds called mogrosides, which make up 1 percent of the fruit's flesh. Monk fruit sweetener is made by collecting the juice of the fruit's flesh. Then, a process involving solvent extraction helps yield a powder that can contain up to 80 percent mogrosides. Monk fruit sweeteners are usually sold in powder form, and many are combined with other sweeteners, some good, some bad. Unfortunately, monk fruit is difficult to grow, and a lot of fruit is needed to make monk fruit sweetener. That's why manufacturers combine it with other sweeteners and bulking agents to make it more affordable. The fruit was traditionally used in Chinese medicine to relieve coughing, respiratory issues, and digestive problems. Nowadays, research shows that extracts from this fruit enhance the immune system, provide antioxidant protection, and reduce inflammation. A study published in a 2016 issue of Nutrients even found that monk fruit compounds suppress the growth of colorectal and throat cancers. There are no known side effects of consuming monk fruit, and the FDA recognize monk fruit sweeteners as safe. Dried monk fruit can be found at many Chinese markets and is simply a dried version of the fruit. You can use the dried fruit in soups and teas. One half to 2 pieces (approximately 9 to 15 g) of the dried fruit is commonly used as a tea after simmering in boiling water. Note that the sweetness depends on the concentration of the extract and the number of mogrosides it contains. These mogrosides are ranked from 1-5 in terms of their sweetness. 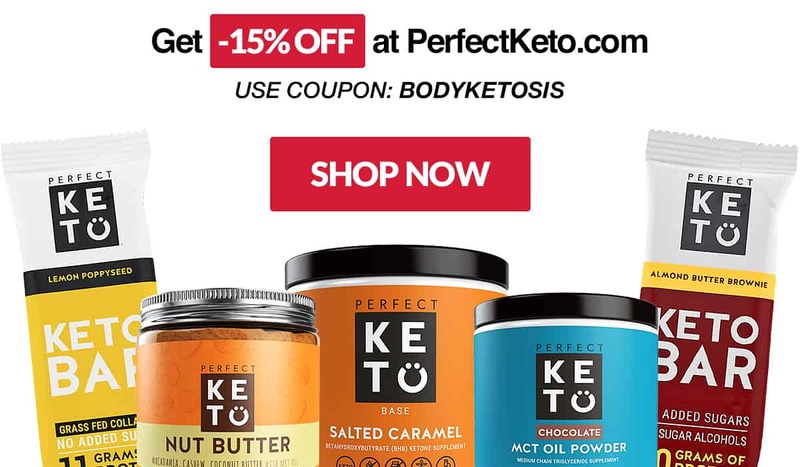 Is Allulose keto friendly? Yes, it fits the low-carb bill and is also recognized as a safe sugar substitute. However, it's not as prevalent on the market as other sweeteners, so you will not likely find it at your local food store. Is Allulose suitable for cooking? Yes, Allulose is best used for cooking and baking. It browns like sugar, holds moisture like sugar, and dissolves easily - perfect sugar substitute for baking. Most sweeteners replicate the sweetness of sugar to some degree, but they fail to replicate its texture and body. That's where allulose is different, with some even claiming it's "real sugar with no calories". 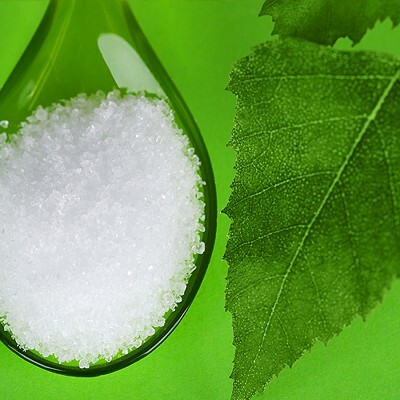 Allulose is a fairly new sweetener on the market that has a similar texture and identical taste to sugar. It even has unique functional properties that make it great for baking. Allulose is considered “GRAS” by the FDA which stands for generally recognized as safe in the US. Also known as D-psicose, allulose is a simple sugar called a monosaccharide that your body cannot digest. It is considered rare since you can only find it in a handful of foods like cereals, figs, raisins, and jackfruit. Allulose is mainly made from fructose from corn using an enzymatic process and is generally recognized as safe by the FDA. However, it can cause digestive issues and even accumulate in the liver. Several studies show that allulose is beneficial for those suffering from type 2 diabetes. In a 2015 animal study, researchers found that consuming Allulose demonstrated “maintenance of blood glucose levels, decrease in body weight gain, and the control of postprandial hyperglycemia” compared to the control group. Other animal studies have produced similarly promising results, with trials showing that allulose administration helps to lower blood sugar levels and minimize insulin secretion following a sugary meal. Research in humans is a little thinner on the ground, but those conducted indicate that moderate doses (5 g or more) of allulose have the potential to prevent blood glucose and insulin spikes after eating other sugars. Interestingly, allulose taken by itself, without any other sugars or foods, doesn’t appear to have any effect at all on blood glucose or insulin concentrations. Keep in mind, that it’s around 70% as sweet than sucrose (table sugar), so you’ll likely need a little more to achieve the same level of sweetness. It’s highly soluble at both low or high temperatures, so you can use it in practically any recipe you can think of, from beverages to baked goods to desserts. When whipping egg whites for keto recipes, like keto bread, keto burger buns and keto meringue cookies, a pinch of allulose improves the foaming properties of the egg whites, and also helps the bread brown a bit. Allulose has excellent moisture-binding abilities, so those special keto treats can be savored for a while longer without hardening. Is Yacon syrup keto friendly? Yacon syrup is NOT the best choice for keto. Although it contains 70% indigestible carbohydrates, it still has some glucose and sucrose – digestible carbs. This type of sweetener is more suitable for someone looking to reduce their carb intake without the need to go into ketosis. Is Yacon syrup suitable for cooking? No, Yacon Syrup is not the best sweetener for cooking. It will lose its prebiotic properties when heated from cooking or baking anything over 248°F or 120°C). Consistency similar to molasses with a dark colour and a very nice caramel taste. Yacon syrup is a natural sweetener extracted from the roots of the yacon plant. Yacon roots are mostly water, and 6-70 percent of the root's dry matter consists of fructo-oligosaccharides (FOS) – types of partially digestible carbohydrates. ​FOS pass the upper digestive tract intact but are fermented in the colon by friendly bacteria which makes them great prebiotics. With its dark brown color, thick consistency, and earthy sweet taste, yacon syrup is similar to molasses or caramelized sugar. What's more, manufacturer make yacon syrup employing processes and equipment used in making maple syrup. First, the roots are peeled and cleaned, and then the juice is extracted and evaporated to get a thick syrup. Due to its many reported health benefits, yacon syrup is considered a functional food. However, it is not be suitable for keto since it contains carbs and calories. 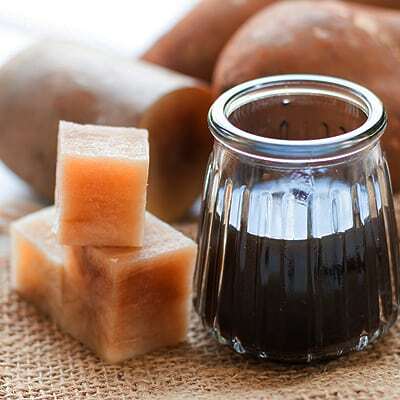 A review by researchers from the Sao Paolo State University in Brazil states that yacon syrup promotes a healthy gut flora. The same review states this syrup boosts the immune system, promotes metabolic health, and reduces colon cancer risk. “Daily intake of yacón syrup produced a significant decrease in body weight, waist circumference and body mass index,” researchers concluded about these obese pre-menopausal women with insulin resistance who used the syrup for 120 days. Another human based study found that oligo-fructose could potentially help overweight adults lose weight and improve glucose, perhaps by suppressing hunger hormones like ghrelin. 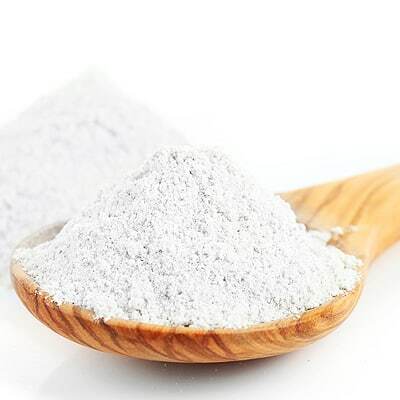 Theres also a Yacon root powder which is essentially a sugar replacement and could be used in homemade low carb energy bars. Due to its rich maltiness, it can also be used for savory applications like meat and fish marinades or salad dressings, but remember that it can easily overpower mild flavors. While it may not taste good on its own (unless you’re a major fan of straight molasses), it’s in its element in baked goods like cookies and cakes. Do not consume tea made from yacon leaves! (Don’t confuse yacon tea with yerba mate tea). Research suggests that water infusions made from yacon leaves are toxic to the kidneys. Beware as yacon leaves are commonly marketed and sold as “anti-diabetic” tea. Sugar alcohols definitely belong to a class of their own. They are types of carbohydrates also called polyols that are difficult to digest. They contain half to one-third of the calories of sugar. You'll recognize a sugar alcohol by its "-ol" suffix such as xylitol, sorbitol, lactitol, and maltitol. One of the biggest downsides of sugar alcohols is that they are hard on the digestive system, causing bloating, diarrhea, and pain. 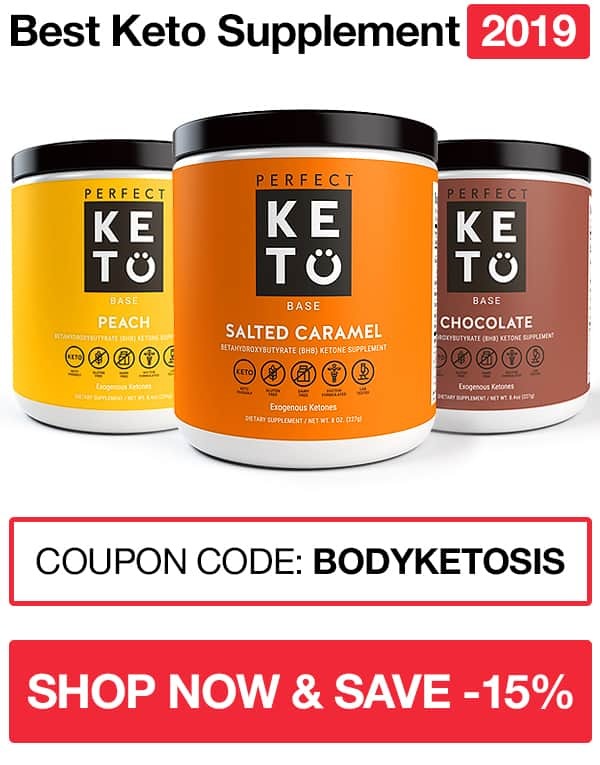 Is erythritol keto friendly? Yes, it doesn't provide any calories or raise blood glucose levels since your body cannot metabolize it. 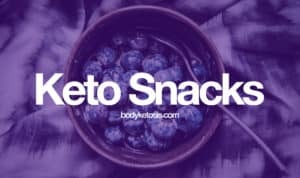 But because it is often made from GMO crops, the more health conscious keto dieter may feel it isn't the best option out there. PS! Prefer the non GMO version! Is Erythritol suitable for cooking? Yes, Erythritol is suitable for cooking. Use no more than 1/2 cup in a recipe to avoid crystallization and dryness. Erythritol is the only sugar alcohol that is not made using industrial process called hydrogenation of sugars using nickel. Instead, erythritol is made by naturally fermenting sugar from corn with yeast. This is also why it's classified as a completely natural sweetener. 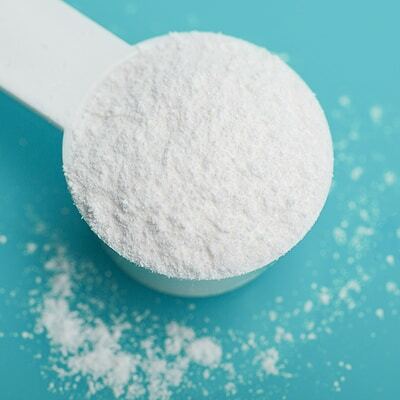 You'll find erythritol products sold in powder and liquid form. Erythritol has 70-80 percent the sweetness of sugar with zero calories. On the downside, most erythritol on the market is produced from GMO corn. Many consumers today are wary of GMO food, and independent researchers are well aware of GMO dangers. It's often sold as a single sugar substitute but also in combination with other sweeteners. Erythritol is similar to sugar in taste and texture. It browns like sugar during baking. Unfortunately, it can also leave a "cooling" feel in the mouth. Using small amounts makes this unnoticeable. It is easier to digest than other sugar alcohols and has no impact on blood glucose or insulin levels according to a small study published in the European Journal of Clinical Nutrition. 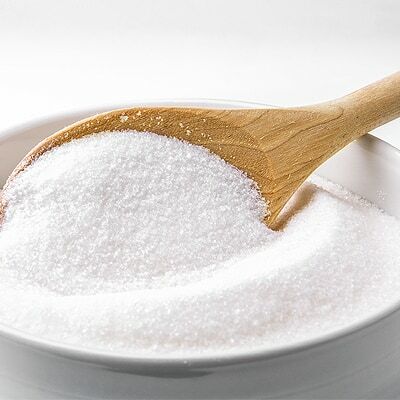 Safety studies found that erythritol does not pose a risk to your health, mostly because it is not metabolized and leaves the body through urine intact. And while most sugar alcohols can be difficult to digest, erythritol has no effect on the GI tract whatsoever since most of it doesn't even reach the colon. Technically it’s about 70% as sweet as sugar, but you can use it as 1:1 replacement for sugar. Erythritol does not dissolve quite as well as sugar. For any uses where a smooth texture is important, use a powdered (or confectioners) version instead for a good end result. It does not caramelize. Depending on what you are trying to make, you would need to find an alternate way to achieve the same result. Erythritol is best for recipes you’ll be eating that day, as there is a cooling effect to the sweetness after more than one day. Sweetness: the same sweetness as table sugar. Is Xylitol keto friendly? Yes. It has a low glycemic index, and studies show that its impact on blood glucose is minimal. But the biggest downside is that it contains calories. Xylitol is another popular sugar alcohol most commonly used in chewing gums and toothpaste. That's because it has a cooling effect on the tongue but also because it can help prevent caries according to a systematic review published in the Journal of Natural Science, Biology and Medicine. Store-bought xylitol appears as a white, crystalline powder. 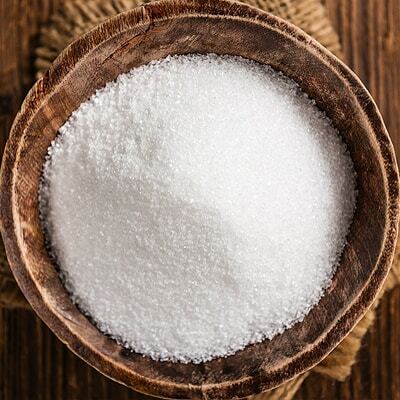 Since xylitol is a refined sweetener, it doesn't contain any vitamins, minerals or protein. In that sense, it provides only empty calories. Xylitol and other most other sugar alcohols are heat stable, so they don't caramelize during baking. However, the sweetener does provide bulk and may work well once you get used to its cooling effect. Manufacturing xylitol starts with materials such as birch cark and waste from processing corn, wheat, or rice. These are then hydrolyzed into xylose, a type of sugar which is hydrogenated into xylitol. Sometimes, manufacturers may use fermentation to make Xylitol, but this is rare. Xylitol is sold as brand-names like Xylosweet, Emerald Forest, and Swerve. Xylitol is an FDA-approved sweetener. However, it can cause constipation, bloating, and diarrhea. Studies also show that the body can adapt to xylitol over time, leading to fewer digestive side effects. And according to a systematic review of 79 studies and that was published in Advances in Nutrition, sugar alcohols like xylitol may increase the number of healthy gut bacteria such as Bifidobacterium. Stevia and Xylitol compliment each other. If your recipe is missing something, then consider trying this combination. If you recipe includes freezing, then use a bit more sweetener as freezing seem to subdue the sweetener. Be sure to prefer non-GMO Xylitol (package needs to say organic or non-GMO). Also don’t use Xylitol in recipes that rise with the use of yeast, such as bread. Xylitol can’t be metabolized by yeast. Xylitol absorbs moisture much more than sugar does. Because of this, you may want to add a little more of the liquid ingredients to your recipes in order to get the best end product. Artificial sweeteners can be attractive alternatives to sugar because they add virtually no calories to your diet. The good news is that artificial sweeteners have been scrutinized intensely for decades. Critics of artificial sweeteners say that they cause a variety of health problems, including cancer. That's largely because of studies dating to the 1970s that linked the artificial sweetener saccharin to bladder cancer in laboratory rats. But according to the National Cancer Institute and other health agencies, there's no sound scientific evidence that any of the artificial sweeteners approved for use in the United States cause cancer or other serious health problems. But the goal of this article is not to determine if artificial sweeteners are safe or not. Instead, the purpose is to give you an overview of which sweeteners you can safely consume during keto diet and which of them you should avoid at all cost. Is Sucralose keto friendly? From a nutritional standpoint, yes because it does not contain carbs or calories. But from a health standpoint, sucralose may be harmful even though health authorities claim otherwise. 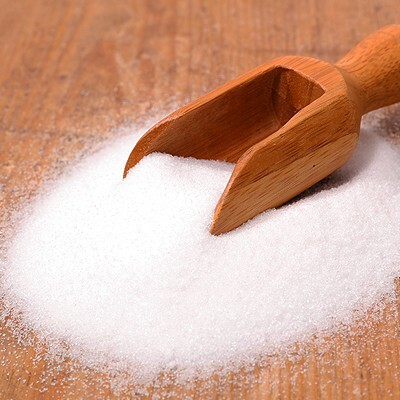 Is Sucralose suitable for cooking? No, we do not suggest using it for cooking. At high temperatures, Sucralose may break down and generate harmful substances. A study found that heating sucralose with glycerol, produced harmful substances called chloropropanols. These substances may raise cancer risk. Sucralose is an artificial sugar substitute with no calories or carbs. Sucrose is made by adding chlorine to a sugar. 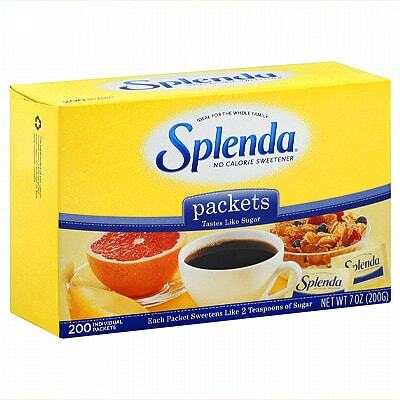 It is sold under different brand names, with the most popular one being Splenda. However, Splenda is only 1 percent sucrose, and the rest (99 percent) is maltodextrin, a highly caloric sugar. Still, Splenda's calorie count is negligible since a little goes a long way. Sucralose may raise blood sugar and insulin levels in people who do not consume artificial sweeteners regularly. However, it probably has no effect on people who regularly use artificial sweeteners. It's still on the pricier side, though. It's also one of the most widely-consumed sweeteners so you won't have trouble finding sucralose sweeteners at any local supermarket and online. According to a literature review published in Food and Chemistry Toxicology, sucralose is safe and suitable for use as a low-carb sweetener. However, studies such as a recent one published in Inflammatory Bowel Diseases would not agree since they show that Splenda leads to imbalances in gut flora, triggering inflammation in the gut. And what's even more concerning is that studies show that cooking with sucralose can potentially generate chloropropanols, which are toxic compounds. Health authorities consider sucralose to be safe, but studies have raised questions about its health effects. The long-term health effects of consuming it are unclear. If you like the taste of it and your body handles it well, then it's probably fine to use in moderation. There is certainly no clear-cut evidence that it’s harmful to humans. Acceptable daily intake of Sucralose is 15mg/kg body weight. Is Aspartame keto friendly? It does not have carbohydrates and derives its calories from amino acids. However, aspartame is used in such minuscule amounts that it does not contribute much to the daily calorie count. Still, the safety of aspartame is brought into question. Is Aspartame suitable for cooking? No, it's not suitable for baking because it tends to change the taste of other ingredients and degrades when heated. Aspartame has been subject to more scare stories than any other sweetener, ranging from allergies and premature births to liver damage and cancer. It was accidentally discovered in 1965 and is now among the most popular artificial sweeteners in the world. It does not leave a bitter aftertaste, contains the same number of calories as sugar, and is made from two amino acids: aspartic acid and phenylalanine. Aspartame is completely digested and absorbed, unlike many other artificial sweeteners. Aspartame is particularly useful in synergy with other sweeteners to balance out their taste. That makes it a popular ingredient in sugar blends. Like other artificial sweeteners, aspartame is also at the center of much controversy. Two of the most popular aspartame brands are NutraSweet and Equal. Aspartame sweeteners are fairly pricey, with some brands costing up to $30 per 8oz-pack. A 1996 report suggested a link between aspartame and an increase in the number of diagnosed brain tumours. However, the study had very little scientific basis and later studies showed that aspartame was in fact safe to consume. The European Ramazzini Foundation of Oncology and Environmental Sciences published several long-term studies in 2006 and 2007 linking the consumption of aspartame with an increase in cancers – namely lymphomas and leukaemias – in rats. Following these studies, the US National Cancer Institute conducted a study of nearly half a million people, comparing those who consumed drinks containing aspartame with those who did not. Results of the 2006 study found aspartame did not increase the risk of leukaemia, lymphoma or brain cancer. In 2013 the European Food Safety Authority (EFSA) conducted a comprehensive review of the evidence and concluded that aspartame was safe for human consumption, including pregnant women and children. To see if your food contains aspartame, you can check the ingredients list. Some food manufacturers also provide this statement “Phenylketonurics: Contains Phenylalanine,” on the package. If you are looking to cook with aspartame, then it's best suitable for no-heat recipes. Aspartame suits well to cool off a fresh lemonade. Most sweeteners are actually blends of different ingredients. Blends usually include sweeteners like sucralose, neotame, mannitol, sorbitol, saccharin, fructose, sucrose, and stevia. Many manufacturers combine several keto-friendly blends, but others you need to look out for. Sweetener blends are sold under different brand names and come in liquid, powder, or crystalline form. 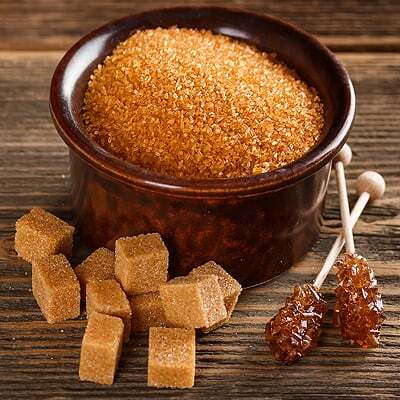 The purpose of blending different sweeteners is to get a product that tastes exactly like sugar, to provide bulk, to improve functionality, and to offset unpleasant aftertastes. When you're on a keto diet, you can use sweetener blends to get the best bang for your buck. Truvia ingredients: Stevia leaf extract, Erythritol, and natural flavors. Is Truvia keto friendly? Yes. It's a low-carb and low-calorie sweetener containing two natural and safe ingredients. Truvia is a good sugar substitute during keto. Is Truvia suitable for cooking? You can technically use Truvia for cooking, but it’s not ideal for the keto diet. The manufacturer says for best results, leave at least 1/4 cup of real sugar for best results. This, of course, is not acceptable during keto. We suggest using other sweeteners like Erythritol for cooking keto yummies. Truvia was developed jointly by The Coca-Cola Company and Cargill and is now one of the most popular sweeteners in the US. It is a blend of three ingredients: erythritol, rebaudioside A (a compound from the Stevia plant) and natural flavors. Erythritol in Truvia is not metabolized by your body and has no effect on blood sugar. 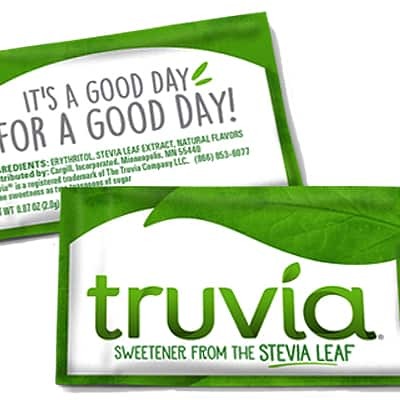 Truvia is marketed as a natural sweetener and has 0 calories and 0 net carbs. It is a popular tabletop sweetener but is also sold in containers. Drinks that contain Truvia include Sprite Green, All Sport Naturally Zero, Blue Sky Free, and Crystal Light Pure. Most of Truvia's side effects are related to erythritol which is a sugar alcohol. Studies with erythritol show almost no side effects reported unless very high doses are consumed. Regular use of Truvia shouldn't cause digestive problems for most people (if consumed in reasonable amounts). In Cargill and Coca-Cola funded studies, Truvia showed no sign of health problems. It didn't affect blood pressure in healthy people or blood sugar in people with type 2 diabetes. Further tests in rats show no effects on reproduction, fertility, or other health problems. A review of studies in 2017 noted that stevia-derived sweeteners were gaining more extensive use, but there have been no studies on its effects on cancer or diabetes risks. While some of Truvia’s ingredients have been studied a lot, the sweetener itself has not. There are many Truvia products but only Truvia Spoonable and Packets are keto friendly. 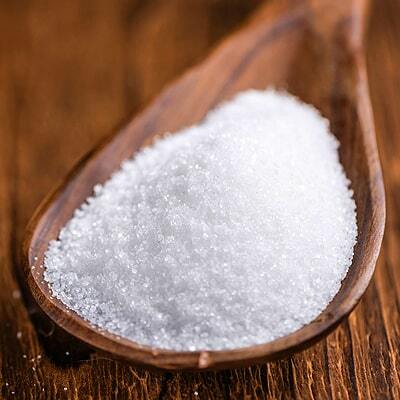 About 1⁄2 of a teaspoon of Truvía Natural Sweetener is equivalent to 1 teaspoon of sugar. One Truvia packet provides the same sweetness as two teaspoons of sugar. PS! Truvia Cane Sugar Blend or the baking blend is not keto friendly. Truvia is perfect to sweeten your yummy whipped cream. Sukrin ingredients: Erythritol, Tagatose, glycerol, malt extract, and steviol glycosides. 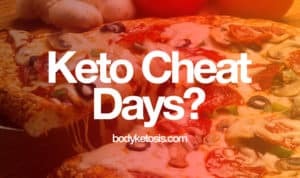 Is Sukrin keto friendly? Yes, Sukrin is keto approved. It contains zero calories, doesn’t damage teeth and is 100% natural. It contains natural and keto-friendly sweeteners like Erythritol and tagatose. Is Sukrin suitable for cooking? Yes. Sukrin withstands heat and can therefore also be used for cooking and baking. Sukrin and sugar have the same volume, so 100ml Sukrin is equivalent to 90g. Baked goods made with an excessive amount may turn out dry and hard. Sukrin doesn’t cause blood sugar spikes and acts as an antioxidant in the body. However, the company also offers blends such as Sukrin Gold that mostly contains erythritol and other ingredients to balance out its flavor such as other polyols and natural plant extracts. 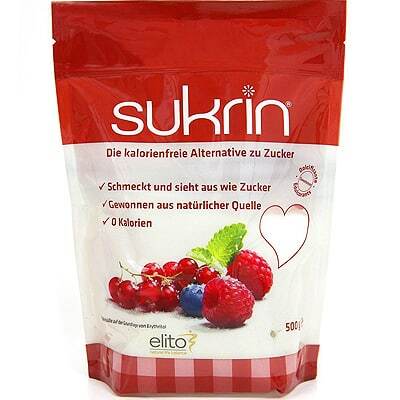 According to their website, Sukrin has a natural sweet taste comparable to that of sugar. Sukrin is produced through a natural fermentation process, in which grape sugar is used as a raw material. This is the same method used to make wine and yoghurt, among other things. It's suitable for icings, decoration, and smoothies. The sweetener is also suitable for baking; however, ingredients volume needs to be adjusted. When used in too high a quantity, the flavour may be experienced as having a cooling effect/metallic. The good thing about Sukrin is that it dissolves very well in liquids. Sukrin is absorbed quickly in the small intestine and is not metabolized in the body. It is not fermented in the large intestine. This means that Sukrin does not contain any energy, nor does it cause the digestive discomfort experienced with other sugar alcohols like xylitol, isomalt and maltitol. Sukrin acts as an antioxidant in the body, and can protect against damage to blood vessels caused by high blood sugar. This study shows that Sukrin can be beneficial to both the prevention and treatment of diabetes. Should not be used in a greater quantity than 20% of the recipe’s total content. Sukrin works very well in combination with other sweeteners. If the amount of sugar you wish to replace exceeds 20% of the total content you can mix Sukrin with Tagatesse, Stevia, FiberSirup or whichever sweetener you prefer or have at hand. Swerve ingredients: Erythritol, oligosaccharides, and natural flavors. Is Swerve keto friendly? Yes, Swerve is perfect for keto diet because not only does it contain a low-carb and natural sweetener, but said sweetener is non-GMO. It does not have a bitter aftertaste and is fairly mild. Is Swerve suitable for cooking? Yes, Swerve is ideal for baking as it caramelizes and holds its shape like sugar. 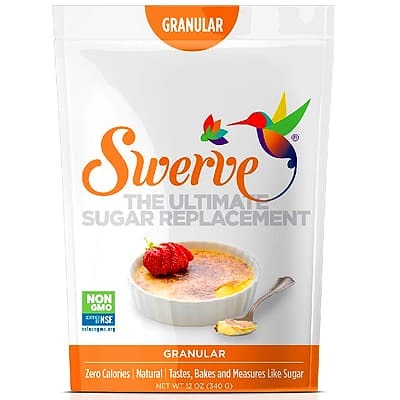 Swerve is one of the most popular sweetener blends on the market. Swerve Sweetener is made from natural ingredients only and all ingredients are sourced from the United States and France. It contains a blend of erythritol and oligosaccharides. Oligosaccharides are types of prebiotic fiber and do not affect blood glucose levels. Another notable thing about Swerve sweetener is that the company specifies they use non-GMO corn to make Erythritol. It comes in granular and confectioners sugar forms, as well as in individual packets. It seems that the research is overwhelmingly in favor of Swerve Sweetener. With regards to erythritol, high-dosage trials in rats (up to 4.6 g/kg) failed to show any chronic toxic or carcinogenic effects. Human trials at lower dosages didn’t reveal any gastrointestinal concerns or digestive upset, aside from higher fluid intake. That being said, there are anecdotal reports of some people personally not taking well to the stuff. Oligosaccharides like those used in Swerve have been positively associated with improved gut microbial health and permeability. Swerve bakes, tastes and measures cup-for-cup like regular sugar. For icinga and frosting: to avoid lumps, use softened, room-temperature butter or cream cheese and room-temperature milk or cream. Most sugar substitutes are fairly low enough in carbohydrates, having no carbs to half the carbs of table sugar. That makes most, if not all of them, suitable for the keto diet. However, the term "sweetener" in its broadest sense covers foods like honey and sugar. These sweeteners are also called nutritive because they provide energy from carbohydrates. You should avoid these completely on a keto diet. Below are some nutritive sweeteners to avoid in addition to some other sweeteners that don't fall under this category. Sodium saccharin is a zero-calorie artificial sweetener that is 300–400 times sweeter than sugar; however, it also an unpleasant metallic aftertaste. This sweetener is not very commonly found or used anymore, as the popularity for saccharin has gone down significantly. It's most commonly found in pre-packaged food like soda and candy but also in some medicines. Despite not containing any calories, recent animal studies show that saccharine raises blood glucose levels by altering gut microflora. Some studies also show correlation between saccharine use and cancer. Splenda is a sucralose-based artificial sweetener brand that's a bit misleading. 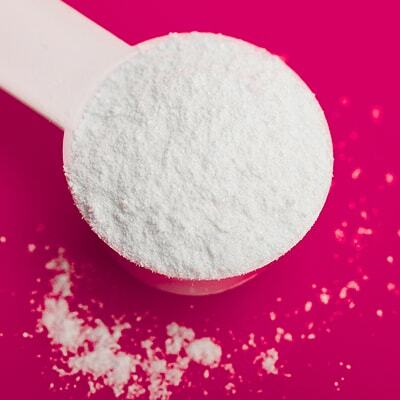 First, it contains only a small amount of sucralose and includes bulking agents such as maltodextrin that give it volume but also added carbohydrates. But there's more, despite being called a zero-calorie sweetener, Splenda has 3.36 calories per single serving. Current laws allow companies to label products "zero calorie" if they contain less than 5 calories per serving. Maltitol is a sugar alcohol with 75–90 percent the sweetness of sugar. It also has half the calories of sugar and a modest effect on blood glucose. Still, it would be best to avoid this sweetener on a keto diet since maltitol has a higher glycemic index than other sugar alcohols. It also provides between 2 and 3 calories per gram. Maltodextrin is a sugar substitute made from corn, rice, wheat, and other starchy plants. It has the same number of calories as sugar, which is 4 calories per gram. In fact, your body digests and absorbs maltodextrin just like any other sugar, and even better according to some studies. Maltodextrin ranks higher on the GI scale than table sugar so it is not suitable on keto. Honey is one of the best natural sweeteners in the world. Besides its unique sweetness and texture, honey is loaded with antioxidants and nutrients and its positive impact on health is well-known. 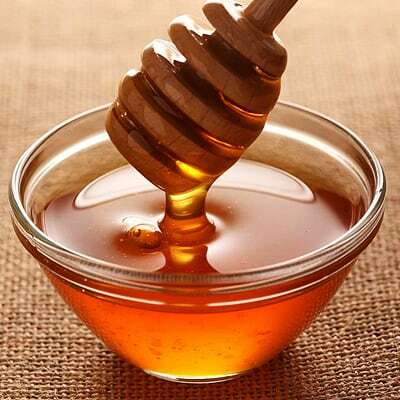 However, honey is 80 percent sugar, with an equal amount of fructose and glucose. It has a lower GI ranking than sugar but that is still too high to make it keto friendly. 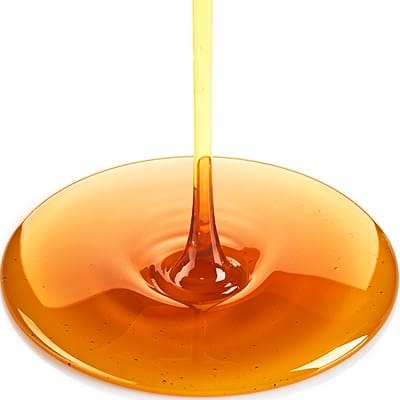 The best substitute for honey on keto is Sukrin fiber syrup gold. Sweetness: the same sweetness as sugar. High-fructose corn syrup (HFCS), not to be confused with corn syrup, is a sweetener made from corn starch. The process of making HFCS involve turning some of its glucose into fructose. HFCS is approximately 55 percent glucose and 45 percent fructose. Because it ranks high on the GI scale, HFCS will kick you out of ketosis. You likely already know that plain old table sugar is not recommended on a keto diet. But because sugar comes in different varieties, you may be wondering if the type of sugar matters. And the short answer is that cane sugar, demerara sugar, brown sugar, and raw sugar all contain the same amount of carbs and calories, which is beyond the acceptable limit on keto. 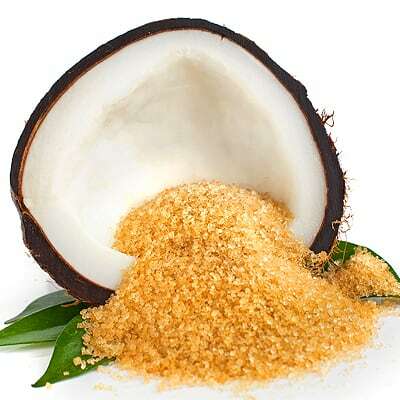 Coconut sugar is made from the sap of the coconut palm. The process of making it is fairly simple and involves mostly evaporating the sap to get a concentrated source of sugar. It's much more expensive than regular table sugar. According to Elaine Gardner from the British Dietetic Association (BDA) Spokesperson, coconut sugar is almost identical to sugar nutritionally speaking, having only trace amounts of nutrients. 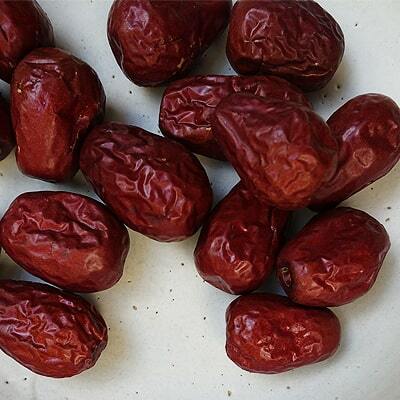 Dried dates are often used as a natural sweetener, and are considered to be healthier than sugar or honey. However, just one date provides 16g of carbohydrates. Have two, and you'll probably meet your carb limit for the day. Avoid using dates or any other sugar-rich fruit to sweeten your keto meals. Sugar, honey, maple syrup, and other nutritive sweetener are mostly made out of carbohydrates. Because sweeteners are necessary in dessert making, many keto dieters turn to low-carb or no-carb sugar substitutes to satisfy their sweet tooth. Unfortunately, we know very little about how sweeteners impact health. Many are even proven to be dangerous for your health and even for the environment. Still, when used occasionally and below the recommended limits, sweeteners, be they artificial or natural, are not a major health risk. Is there any other sweetener you would like me to review in here?